It is that time of year, when you come down to the beautiful Gulf Coast to enjoy the wind, waves, and sun. 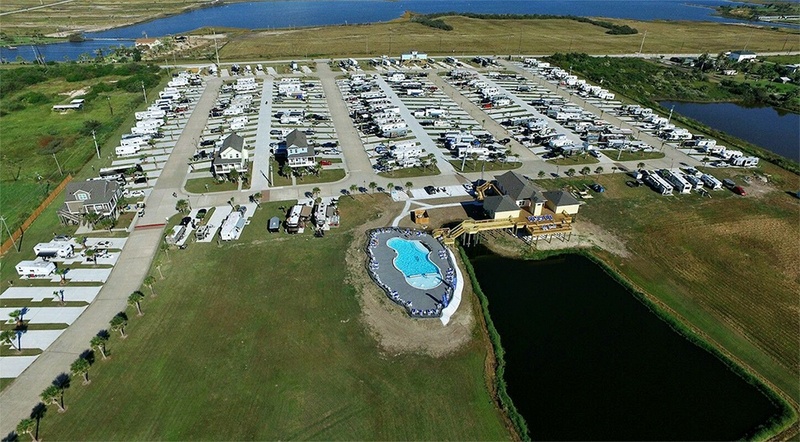 The best place to stay to take advantage of all these things is, of course, the Stella Mare RV Resort. Not only is our resort a great place to stay, but Galveston itself is an interesting place to visit. We thought you might like a brief history of Galveston, the place where you’ll be hanging your hat. Galveston is located on Galveston Island. This barrier island helps to protect the main coast and is located about 45 miles southeast of Houston. A deep-water channel connects the harbor with the Gulf. Galveston has six historic districts; The Silk Stocking National Historic District, East End Historic District, The Strand National Historic Landmark District, Cedar Lawn, Denver Court, and Fort Travis. Speaking of history, this region has a rich history that you can explore on your own, but here are some of the highlights. Galveston Island was inhabited by the Karankawa and Akokisa tribes. Cabeza de Vaca was shipwrecked on the island and named it Isla de Malhado or Island of Bad Fate. Later, Jose de Evia named the island Villa Galvez in honor of Bernardo de Galvez y Madrid. Villa Galvez, or Galveztown thus became the name of the island.